Digital life relies on the exchange of information. When data is shared, it may be infinitely duplicated, modified and used in ways unintended by its originator. Identify theft, cybercrime, fake news, and misuse of intellectual property are commonplace because we have a limited toolset to govern contemporary models of data use. The report identifies a number of processes in Scottish public services which continue to rely on the use of paper, or web-based substitutes for paper. It also highlights the importance of effective and appropriate information sharing in enabling cross-agency collaboration to improve citizen services. DLT makes it possible to register and record, share and transfer value or valuable information in a secure and tamper-proof way, to only the intended recipients. It represents a new opportunity for the creation of natively digital public services. 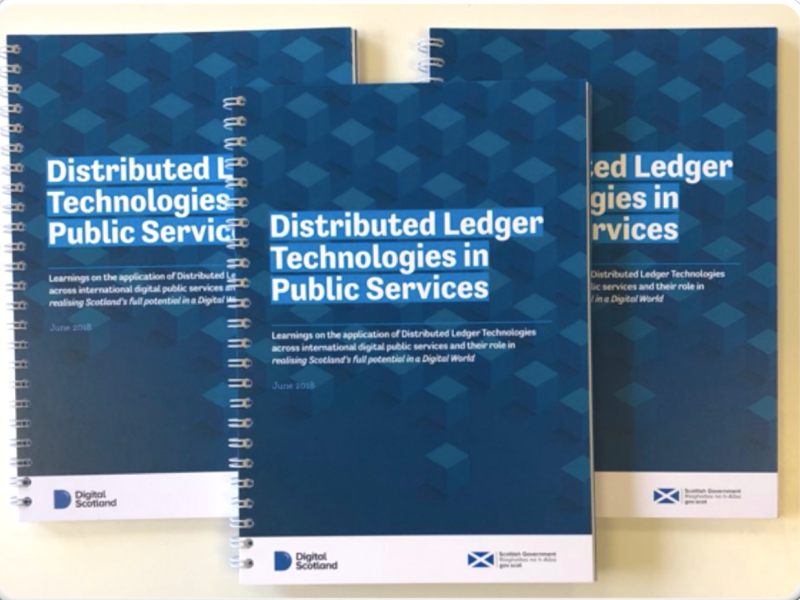 In this report, which was commissioned by the Scottish Government’s Digital Directorate, we recommend that Scotland should join the international ecosystem of DLT as an active participant. This would involve developing a Scottish vision for DLT together with universities and businesses, initiating small-scale projects in the Scottish public sector, and sharing findings with the international network. DLT may represent the future of how citizens, consumers, and industries interact in a transparent, secure and streamlined manner to form the highest performing economies.